BIG SCENE ON STAR TOMORROW!!!! There is a big RED CARPET MUSIC AWARDS scene happening tomorrow in Atlanta on STAR. I am looking for all the fabulous types you would see at this type of event. Think GRAMMYS or AMERICAN MUSIC AWARDS etc. On the red carpet you would see ARTISTS and CELEBRITIES and EXECUTIVES and ENTOURAGE and PAPARAZZI and REPORTERS etc. NEWS CREW TYPES / PAPARAZZI: Males and Females, any ethnicity, who look in the 30’s to 50’s age range, who have business casual attire in darker colors, to play CAMERAMEN, SOUNDGUYS, or PAPARAZZI. No visible tattoos. BODYGUARDS/SECURITY: Males, any ethnicity, who look in the 30’s to 40’s age range, who have a black suit, who have a secret service or cop type look and build, clean cut clean shaven, no visible tattoos. REPORTERS / EXECUTIVES: Males or Females, any ethnicity, who look in the 30’s to 60’s age range, nice upscale business look and attire, you should look like wealthy business types, no visible tattoos. INFLUENCERS/FANS: Males or Females, any ethnicity, who look in the 20’s to 60’s age range, attractive music lover types, who are either ARTIST types, or entourage or friends or family of the Artists. You can look like a current music artist, or music legend type, or up and coming artist types. Great look and red carpet worthy wardrobe! No visible tattoos. If you fit any of the categories above, and you are at least 18 years of age or older, and you have the right look and wardrobe for a RED CARPET EVENT, and you are fully open and available to work tomorrow Tuesday Feb. 5th in Atlanta, please submit an e-mail with your name, a current photo, sizes, and contact information to Star@centralcasting.com. Please put RED CARPET in the subject line, and then in the body of the e-mail you can list which category or categories you are submitting for. 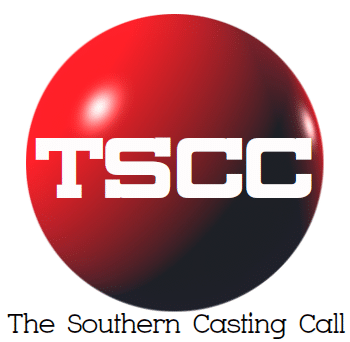 No phone calls please, if you are selected to work, a Central Casting representative will contact you with booking information. If you are not currently registered with Central casting, you must have the proper documents to fill out an I9 form in order to submit. Thank You.